While most of the credit for Clemson’s current rise to prominence will understandably be attributed to head coach Dabo Swinney, you could easily argue that if it wasn’t for Deshaun Watson, Swinney would just be another sweet-talking southern football coach. After all, this is a guy that Swinney once compared to Michael Jordan, in terms of Watson’s work ethic and ability to change the trajectory of a team. 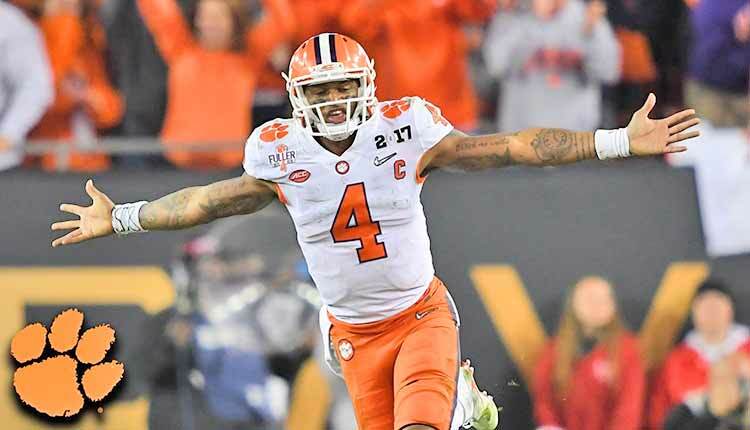 After taking the college football world by storm as a redshirt sophomore and leading Clemson to the National Championship in 2015, Watson and the Tigers returned to college football’s biggest stage the following year and upset the University of Alabama for the title.